Replying to Cong charge of corruption, BJP says there was the need for spreading Yoga education among the youth who were otherwise falling prey to drug menace. Amid criticism overrelaxation in granting land lease to Patanjali Yogpeeth at cheaper rates, the Bharatiya Janata Party (BJP) on Thursday justified government’s decision by saying Baba Ramdev’s centre would do more good for state than harm. 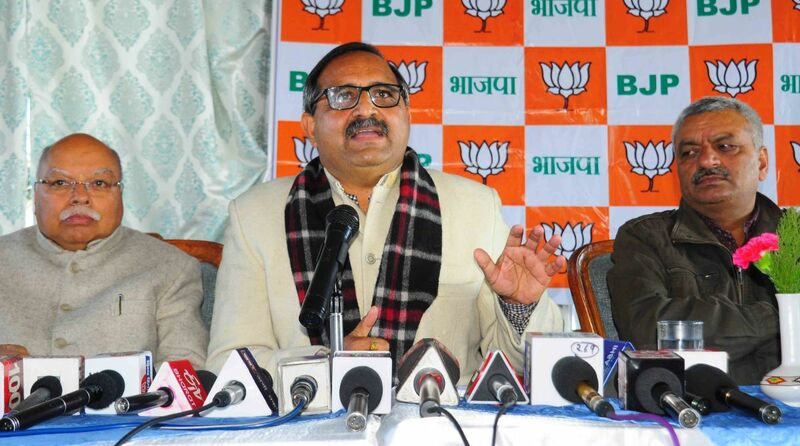 Addressing media over Congress charge sheet against the HP government, state BJP chief spokesperson Randhir Sharma said Baba Ramdev was running a trust for noble cause of spreading Yoga education among masses. “At a time when the youth of the state are falling prey to drug menace, there is the need to spread Yoga education to desist them from the social vice,” he said. Further, Patanjali Yogpeeth’s centre at Sadhupul near Kandaghat in Solan district would benefit all as it would produce herbal products and they would procure herbs from local farmers. Justifying the government’s stand, he said the government also allocates land to a businessman at subsidised rates but there never have been any controversy on the issue. He took a jibe at the Congress party for raking up the issue and said the party had constructed its office in Shimla and Bilaspur after taking land on lease that was meant for Kisan Market Committee and Bhakhra Dam oustees respectively. “Why they are raking up the issue time and again when there have been several such instances in Himachal Pradesh,” he questioned. Sharma said the charge sheet submitted to the Governor Acharya Devvrat was a mere gimmick and it seems that six-time Chief Minister Virbhadra Singh didn’t participated in the event, for he knew it was a mere bundle of lies. He said Chief Minister Jai Ram Thakur government was aiming to provide corruption-free governance and the allegations made by Congress leaders were without any basis or facts. The Congress leaders didn’t have any issue to accuse the government of corruption or wrongdoings and they had a mockery of themselves by submitting the fraudulent charge sheet. Replying to a query, he said the state government is only withdrawing those cases which are of frivolous nature and were inspired by political vendetta. 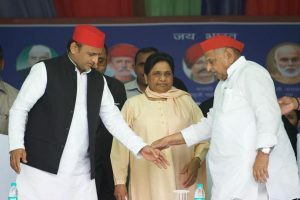 “The opposition leaders were frustrated over the growing popularity of Thakur and his ministers among masses. And the charge sheet seems to be an attempt to divert the attention of the general public from achievements of BJP government,” he added.